Our Mission is to be the premier marketer of quality fresh vegetables for the U.S. and global markets. We will provide superior value and service to our customers and growers. Fresh Kist Produce, LLC was formed in 2000 by a group of grower/shippers in order to more effectively market their collective fresh vegetable production. The companies that make up Fresh Kist Produce, LLC are, Byrd Farms, Gold Coast Packing Co. Inc. and Rancho Guadalupe in Santa Maria, California. The owners were concerned about the changes in the marketplace and the poor market conditions that the industry had experienced during the years leading up to Fresh Kist's formation. They realized they needed to make some dramatic changes in how they were doing business - not only to survive, but to make a profit growing and shipping fresh vegetables. Each of the owners felt that, individually, they could not produce a full line of vegetables, nor the consistent volume needed to effectively serve the newly evolved retail and foodservice customers in the marketplace. 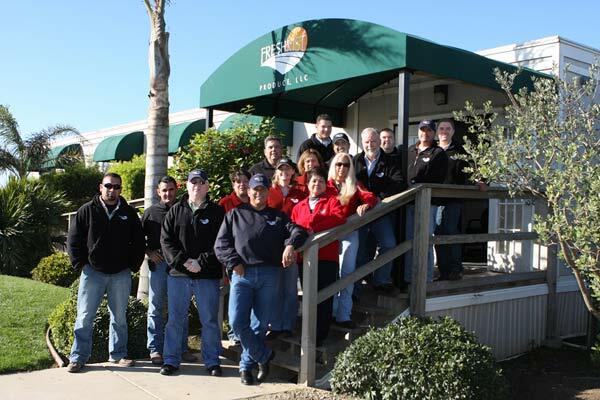 Fresh Kist's sales office is headquartered in Santa Maria, California. Our sales department is organized by customer segment, with focus on retail, processor, foodservice and export customers. By providing specialized levels of sales and service, Fresh Kist Produce is able to better serve the needs of our customer base. Each of Fresh Kist Produce's experienced sales personnel is solely responsible for the sales management of one commodity. Likewise, each member of Fresh Kist Produce's field staff is solely responsible for the growth management of one commodity. Both members work closely together to ensure that the highest quality level is achieved on each and every one of their outgoing orders. Today the emphasis of Fresh Kist Produce is still to provide our customer with superior quality, year-around availability and the highest levels of customer service available in the business.